We’re celebrating the people, clubs and counties who are the true heroes of the game! 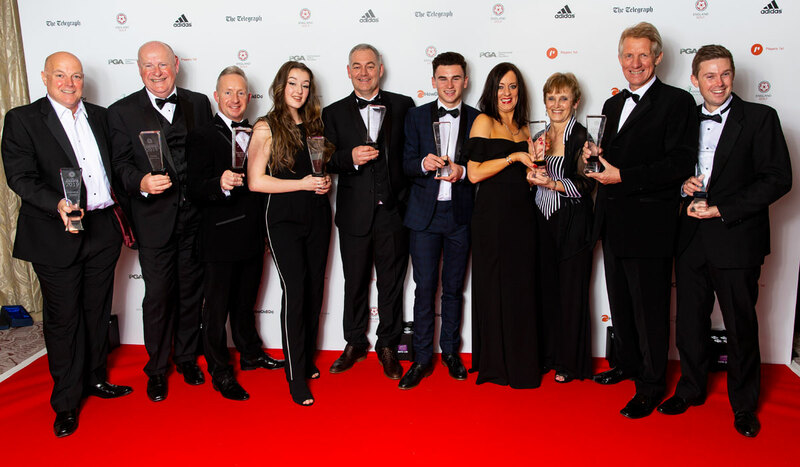 They’re the winners of the England Golf Awards 2019 and their inspirational stories were applauded by over 400 guests at a glamorous black-tie dinner at the Royal Lancaster London on Thursday 21 March 2019. Scroll down to read all about them. Our host was again BBC Breakfast presenter Dan Walker, who is a huge fan of the game and again proved popular with the crowds! This was the third time we’ve held the England Golf Awards, this year sponsored by adidas Golf, and the evening sprinkled stardust on outstanding achievements, with special messages from the likes of Tommy Fleetwood, Tyrrell Hatton and Jordan Smith. It really was the golfing night of the year for everyone who loves the sport and wants to applaud the people and organisations who make the game great. Take a look back at the winners from our the England Golf Awards 2018! It was celebration when players, volunteers, clubs, counties and coaches got together to recognise all that’s great about golf in England. About 500 guests attended the awards and applauded the achievements which are helping to grow the game.